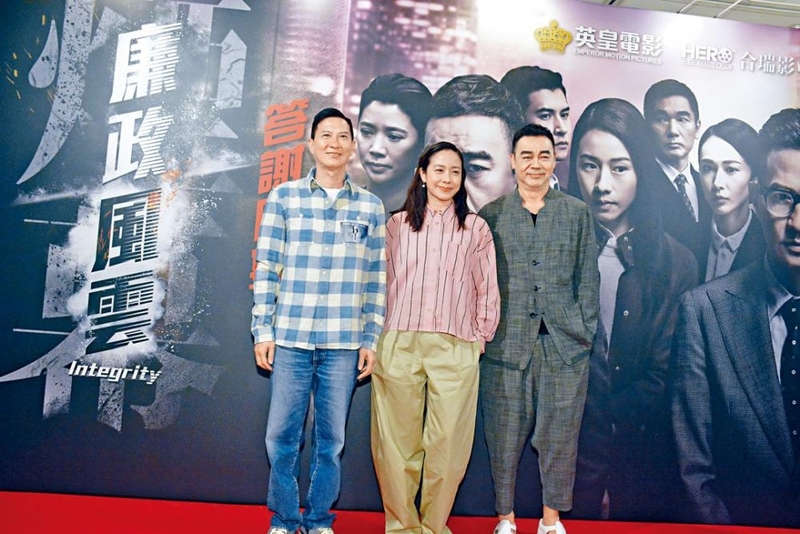 The Alan Luk Chun Kwong, Hanna Chan, Kyle Li Yam Sun and Lam Sen starred G AFFAIRS (G SAT) began with a headless murder case, in which the letter G connected six empty city souls. 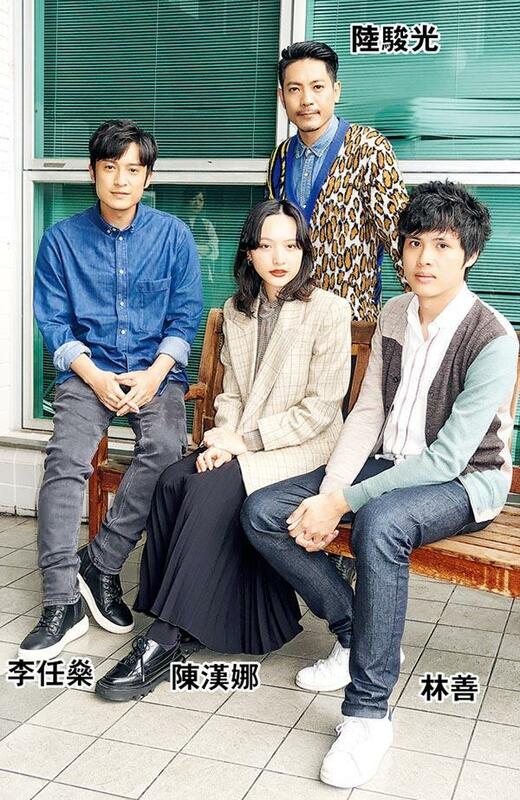 Playing a pretentious teacher in the film, Luk Chun Kwong developed a relationship with the Hanna Chan played student. They even had an "under the desk deal", a performance that was daring conceptually. Hanna Chan admitted that when she first read the script she felt very awkward. Hanna Chan played a high school student from a complicated family. Although she was well behaved and excelled at school she was not popular. 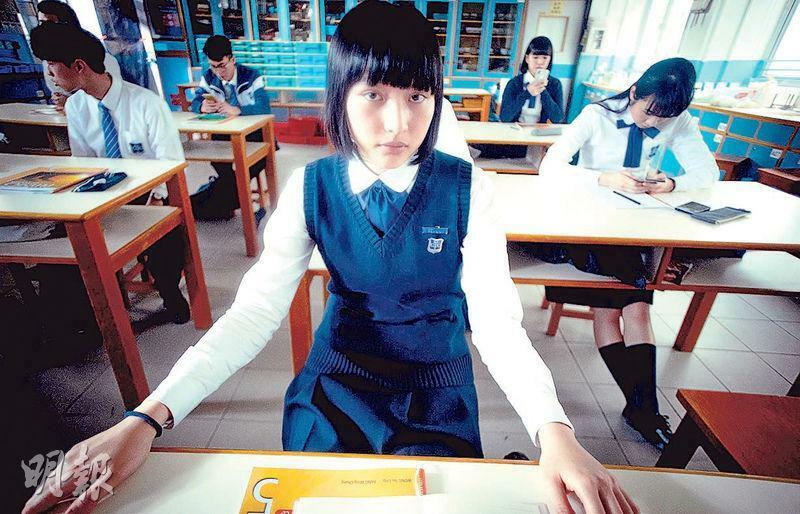 With her Asperger syndrome classmate Li Yam Sun she even had a "passionate scene". Li Yam sun said that it was not the intimate scene, but the emotional one. Because his heart ached for Hanna Chan and sympathized with her, he had a scene in which he had to break down for a release. 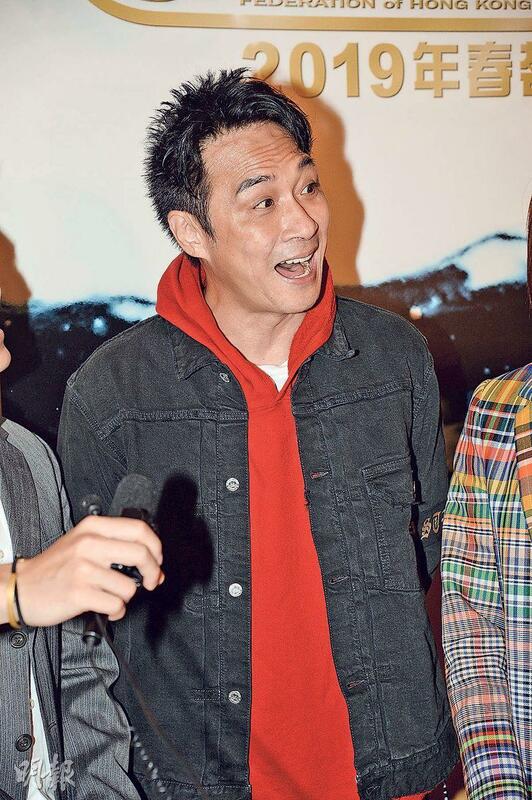 Many Hong Kong Film Award nominees like Anthony Wong Chau Sun, Francis Ng Chun Yu, Kara Wai Ying Hung, Charlene Choi Cheuk Yin, Chloe Maayan and others two nights ago participated in the Federation of Hong Kong Filmmakers spring banquet. Speaking of the Best Actor race being between Chau Sun and Chun Yu, Chau Sun admitted that he would be just as happy no matter who would win. He only used his head to act while Chun Yu used his entire body, thus he believed that he would lose to Chun Yu. Best Actress nominee Choi Cheuk Yin said that Best Actress would be an actor's ultimate goal, it would be impossible for her not to long for it. Anthony Wong Chau Sun, Ben Yuen Fu Wa, director Sunny Chan Wing Sun and director Kearen Pang Sau Wai yesterday attended the "Elite Alumni Sharing Session: the next years of Hong Kong movies" forum at the Hong Kong Academy for Performing Arts. 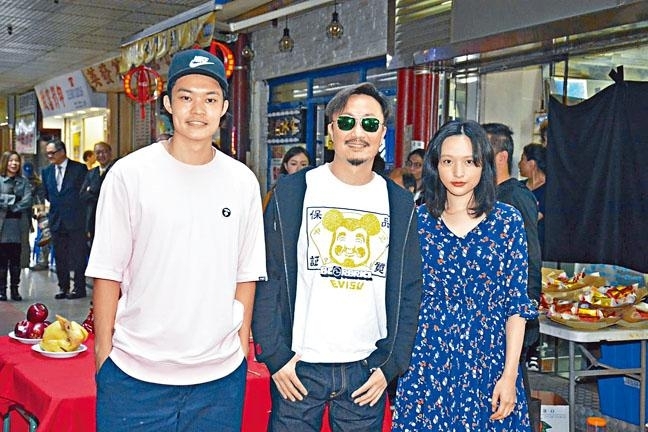 Nominated with STILL HUMAN (LUN LOK YUN) for the Hong Kong Film Award Best Actor, Wong Chau Sun was asked whether he took the chance to campaign for votes when he attended several events recently. He stressed that he did not campaign for votes, just for the box office. "I made this film without any salary. If I can campaign for the box office then it would be good, I would have a bonus. That's what we used to say, I don't know whether it counts or not." Anthony Wong Chau Sun, Crisel Consunji and Sam Lee Chan Sam two nights ago attended the film STILL HUMAN (LUN LOK YUN)'s promotion. Chau Sun and Crisel both were nominated for the Hong Kong Film Awards; Crisel also received a New Performer nomination. She was happy and honored to be nominated and said that she never thought about winning. She also praised Chau Sun as very professional and constantly advising her. Chau Sun had a lot of confidence in Crisel. Although she had two nominations she did not need to win both. As long as she would win Best Actress she would be fine. He said, "At first when I learned that she was a new actor I was a little worried and didn't know whether she would be able to adjust. I didn't expect her to be very smart and we had a pleasant time working together. (Are you confident about your award?) It doesn't matter whether I win or not, whether I will attend or not it will depend on my schedule. I am very busy, I have a lot of international affairs to attend to. If I have time I will go. You know how flammable I am it, I don't want any needless trouble." In the Emperor Motion Picture SEI YUN MO HOR YI (CAUSE OF DEATH NOT SUSPICIOUS) Kathy Yuen (Tong Yi) and her INTEGRITY (LIM JING FUNG WON YIN MOK) co-star Carlos Chan Ka Lok worked on a bed scene for hours and she admitted that the shoot was exhausting. Was she afraid that their rumors would be worse? Kathy said no. "If so it wouldn't have to wait for after a decade! He has so many rumored girlfriends, I am just one of them." She praised how attentive Ka Lok was, as he gave her mouthwash before the love scene. "He is too experienced! However the shoot was very pleasant, I get to work with a handsome guy! After editing the bed scene is probably around two minutes. It started on the ground, then in the air then in bed, with touching and kissing. I was a little tired. (Isn't it more tiring for the guy?) Why would the guy be more tired? The girl is tired too. He is the one who got taken advantage of, haha." Although they were friends, their first intimate scene was awkward. Kathy felt that she was grown up and had to make new attempts. 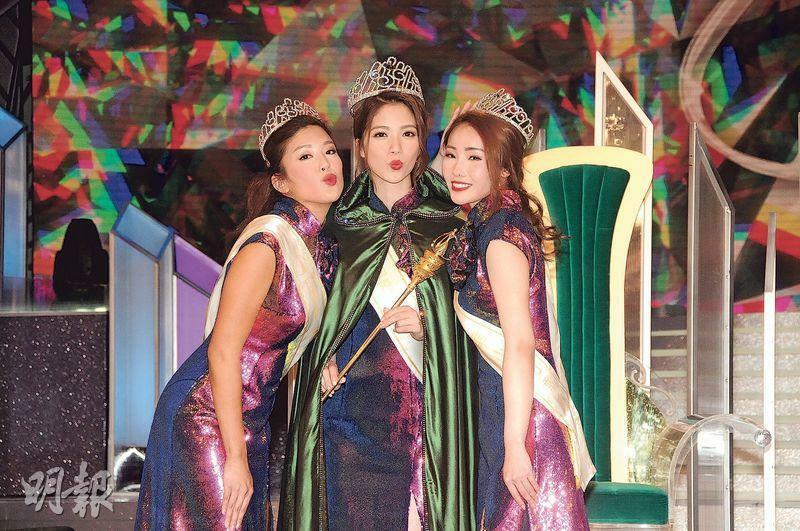 After the break up with Ken Hung Cheuk Lap was she able to go even further? She admitted, "I can give my all!" In SEI she again worked with Karena Lam Ka Yun and Anthony Wong Chau Sun. The Artist Training Alumni Association on March 7th will hold its 30th anniversary dinner at Kowloon Bay. Yesterday it held a press conference. Wayne Lai Yiu Cheung, president Ronald Yan Mau Keung, vice president Brian Wong Chak Fung, Tang Ying Man, Chuk Man Kwan, Yuen Tak Cheung and Tam Yuk Ying attended. Wong Chak Fung was very happy to bring together a group of classmates, so far the association has over 400 members and hopefully more. The only membership qualification was a TVB training class students. Later a play will take place for more unity. 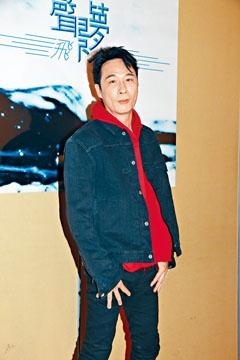 Cheung Jai said that the Artist Training Alumni Association was more low key before. The high profile promotion this time was to remind everyone that it was still in operation. Wong Chak Fung also revealed that the evening would have musical performances and auctions. He would be responsible on drums. Permanent honorary president and founding member Chow Yun Fat might attend. He said, "Fat Gor handed the association to us, he wouldn't just leave us." Karl Ting (left) asked candidate Kitty Huang for her Intergram during question and answer All the awards were presented by last year's winners except second runner up. Juliette Louie was absence so Joe Ma presented in her place. Hera Chan Hawaii's Stephanie Wang New York's Gina Wu denies having a tattoo and claims it is a birth mark. The event asks her to cover it up with make up Sammi Cheung Joey Law and old flame Roxanne Tong Moses Chan, Kelly Cheung, Christine Kuo, Rebecca Zhu and Joe Ma form the "diamond jury"
Ronald Cheng Chung Kei, Hanna Chan, Tony Wu Tsz Tung and others yesterday attended the production start worship ceremony for a based on a true story film WAI OI (LEFTOVER LOVE). 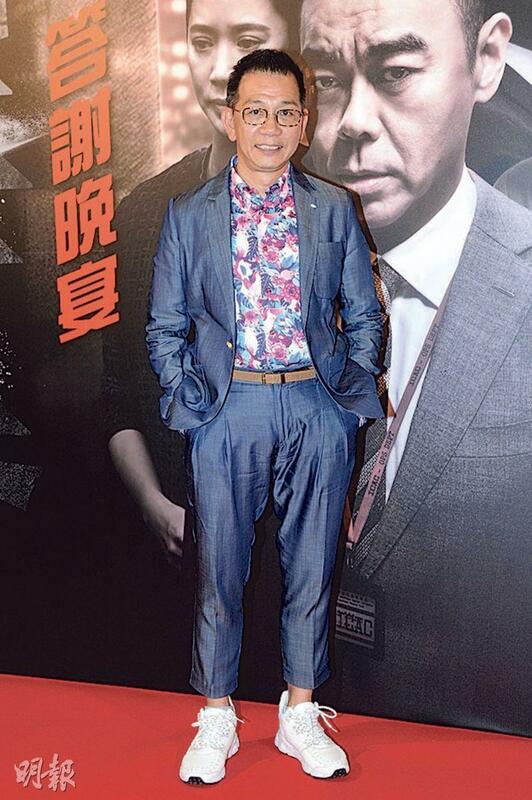 Playing a cop in the film, Cheng Chung Kei said that the story was rather heavy. "This is my first real story, I am excited but the event was rather tragic. Earlier I read the paper to get an understanding of this case. (Are you worried that you wouldn't be able to leave the character?) I wouldn't bring the emotions home, in addition I mostly work until the afternoon the next day. All the children are in school. When I awake up I am fine." Cheng Chung Kei said that two nights ago he just finished a Hanna Chan slap scene. "I told her not to hold back, it would be worse if she did and we had to shoot a few more times. I didn't expect that even without holding back she still had to hit a few more times." Did he want to win an award from making a film with a subject like this? Cheng Chung Kei hoped that the director would win because the script was very well written. In order to support new directors he did not deliberately talk about salary. As for the government allocation of HK$ 1 billion for the Hong Kong Film Development Fund in its latest budget, he felt it would be a good thing. The film INTEGRITY (LIM JING FUNG WON YIN MOK) made over HK$ 31 million at the Hong Kong box office. Two nights ago a celebration was held. 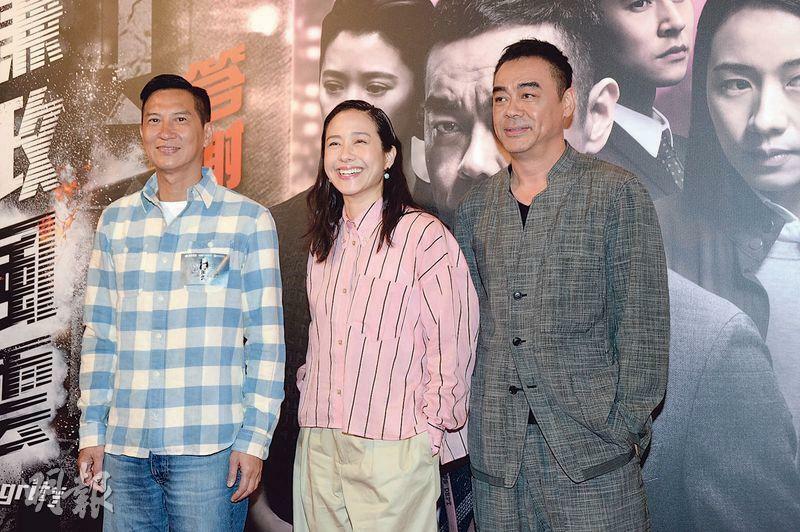 Boss Albert Yeung Sau Sing and his wife, director Alan Mak Siu Fai, actors Sean Lau Ching Wan, Nick Cheung Ka Fai, Karena Lam Ka Yun, Alex Fong Chung Shun, Kathy Yuen (Tong Yi), Mani Fok Man Hei attended. 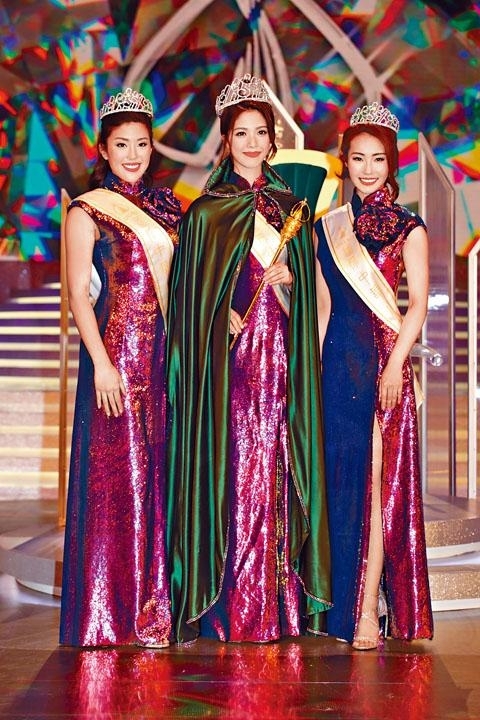 Emperor Motion Pictures even brought over HK$ 100,000 for a lucky drawing. Director Mak wanted to make a sequel. 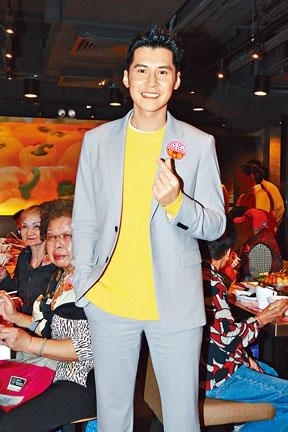 Ching Wan said that he could work with Ka Yun again and even with his wife Amy Kwok Oi Ming. Ka Yun felt that she could play Ching Wan's sister or superior, but as a mother she refused to make a mother. She hoped to be a little fresher. Carlos Chan Ka Lok yesterday attended a Tseung Kwan O shopping event, spoke in the Taishan dialect with a group of seniors, was asked for autographs and had no generational gap at all. Ka Lok felt extra intimate with the seniors. Because he grew up with his grandma, he had no difficulty being with them at all. He felt the most comfortable and the most natural with them. 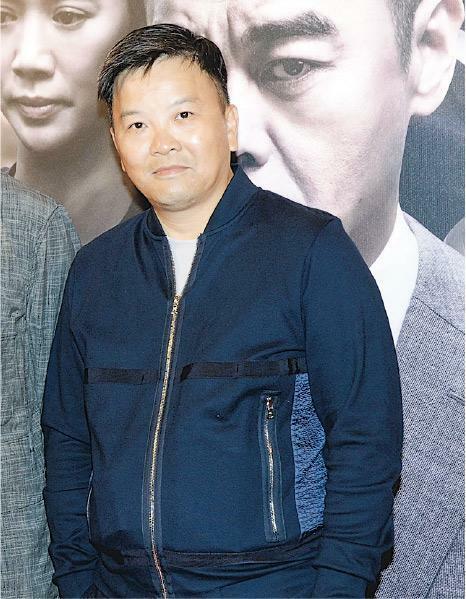 Ka Lok earlier had to work on his new film GUNG GUP GAU WOON (EMERGENCY RESCUE) in Xiamen, thus since his film INTEGRITY (LIM JING FUNG WON YIN MOK)'s Hong Kong release he has not participate in any promotional event. He helplessly said, "I hope the director would remember me when the chance for a sequel arises. (You spend all your time on making money, have you made ten years' money in a year?) The base numbers were very low before, maybe ten years together I would only have made several tens of thousands. Thus people say I made ten years' worth of money." In GUNG due to a lot of rescue operations at sea, Ka Lok went to improve his swimming. However in the end he had no swimming scene, all the rescues were done on vessels and he fought fire. He said, "In the future it probably will be useful."